At Laron, we value trust and quality. The loyalty and reliability of our business partners help keep Industry in motion. The service to our customers is our highest priority, and with our extensive partnerships around the globe, Laron has the ability to ensure our clients and customers stay in motion. Our pursuit of excellence through safety and quality extends from not just our own employees, but through our partners as well. SEW Eurodrive brings together everything you need to drive performance for your systems. A superior family of products, unsurpassed engineering, technical support, and innovative new technologies. Laron is an Authorized repair facility for all SEW-Eurodrive products. As the leading authority on tapered roller bearings, Timken leverages expertise in friction management, metallurgy and mechanical power transmission. When they need inspections, they call the Laron team. Siemag Tecberg can look back on more than a century of continuous presence on the market. The origins of the company as a supplier to the mining industry go back to the year 1871. A leading specialist in mine hoisting technology and infrastructure. Siemag calls on Laron for their hoist repair, manpower support, pinion change outs, bull gear change outs and field machining. The maker of the world famous bridge supported clarifiers. Laron is their choice for on-site support for installation and repair. 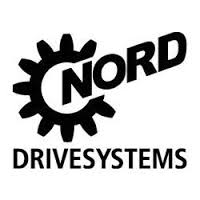 NORD Drive Systems is one of the world’s leading manufacturers of drive technology for mechanical and electronic solutions. Nord counts on Laron for drive installation and repair. Flender drive technology is simply reliable. This has been proven in over 400,000 gear unit applications worldwide. In the southwest United States, Laron is their preferred and authorized solutions service company. B&W’s advanced steam generation equipment is designed for high reliability, availability and efficiency. Laron’s field crews are their choice for support in field machining, laser tracking and fabrication. 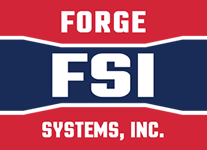 FSI key personnel have all worked in the heavy press industry with 75+ years of experience. Laron is their sole source for machinists, journeymen millwrights, laser tracking and code welding. Laron is an SKF Certified Rebuilder. The program enhances the expertise of our electric motor repair shops through employee training, equipment and technology upgrades, and new standards for repair consistency and quality. 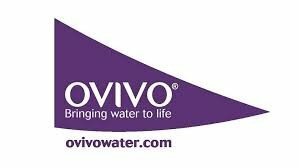 exceptional product range capable of handling a wide variety of pumping applications. When their customers call for repair service, they call on Laron for support. Experience unmatched performance with FLSmidth’s reliable crushing equipment. Providing the heavy-duty crushing solutions our customers need, we have the broadest and most advanced line of crushers in the industry. FLSmidth calls on Laron’s proven knowledge and expertise as an Authorized FLSmidth Service Provider. Efficient fine crushing can reduce grinding cost by 10-30%. It is one of the most effective investments to reduce the cost per ton and increase your revenue. Laron is the authorized repair facility for the Metso crusher. Global Manufacturer of very large motors. Authorized repair center.